We offer a team of experts who can assess your children’s challenges and provide highly effective treatments. No matter their age, many children experience speech and language difficulties, whether they’re delays in articulation, stuttering, voice disorders, and conditions caused by hearing challenges or autism spectrum disorders. At Parents Place, we have experts who can assess your children’s challenges, provide highly effective treatments and therapies to mitigate or correct them, and consult with you on ways that you can reinforce best practices in your home. Always flexible, we offer one-on-one speech and language therapy as well as small-group therapy. Speech and language consultation, assessment, and therapy services are available for children and youth ages 2 – 18. Our Speech and Language services on the Peninsula are provided by Shirit Megiddo, MS. Her areas of expertise include child language delays and disorders, articulation and phonological delays and disorders, social language / pragmatics delays (often seen with Autism Spectrum Disorders), stuttering and fluency disorders, and auditory processing. Shirit graduated with a bachelor’s degree in biology and a minor in linguistics from the University of California, Santa Cruz, and received her master’s degree in speech-language pathology from California State University, Hayward (now East Bay). 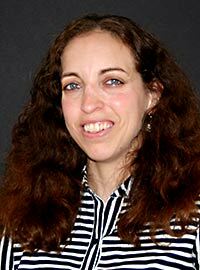 Fluent in English and Hebrew, she provides services in both languages.